There’s a breakdown in the construction sector and many people are asking who’s to blame? It seems the answer is, everyone and everything… So, for Industry Insider this month, we felt compelled to talk to the most entrenched industry players and ask, what’s going wrong? A whole series of high-profile failures in the construction sector, including the likes of Mainzeal, Ebert, Corbel Construction, Orange, Arrow, and huge losses for Fletchers (plus any number of other, smaller operators) has spooked the industry, the banks and the Government. And not without good reason. The construction pipeline is full, with all kinds of work from milk factories to skyscrapers, hotels to railway tunnels. Governments, local Governments and lobby groups are pointing at the housing shortage, the lack of good rental accommodation and the resulting rise in homelessness and demanding new dwellings be built – and fast! But against that backdrop, construction industry failures continue with disturbing regularity. Last year, UK Consultant Mark Farmer came to New Zealand funded by the Industry Transformation Agenda in partnership with PrefabNZ to talk about a global ‘construction crisis’. Farmer described an environment where construction costs are increasing, companies are over-stretching themselves, productivity has fallen and there are serious quality issues. The outcome, he says, has been reputational damage, falling customer confidence and “ongoing commercial failures of companies as they are unable to control outcomes and risk”. Many of the major failures in recent years can be put firmly at the feet of businesses accepting contracts that were just too tough. Managing Director and Co-Owner of Jennian Homes Richard Carver says what these contracts try to do, is simply pass too much risk from the developer, project creator, or architect, to the head contractor. “If you take on these contracts, you become responsible for everything and take every single ounce of risk,” he says. Contract errors are magnified when prices are rising so fast that any delay bites deeply into the profit margins. Scan through a list of major projects around the country and you’ll see the eye-watering cost blowouts of almost every major project. It’s more than labour, it’s more than materials and too big to simply be risk-padding. Wellington’s Omāroro Reservoir as a case in point. The project was approved in 2017 at $29.5m, costing errors and inflation saw this figure become $40.9m in 2018 and this week, the cost went up, yet again, to $58.2m – almost exactly double the 2017 budgeted price. 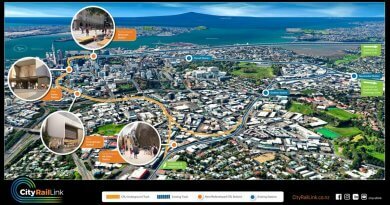 Similarly in Auckland, In September 2016 the City Rail Link was estimated to be between $2.8 and $3.4 billion, subject to tenders for remaining contracts. However a senior council officer told the Weekend Herald in January this year that revised estimates for the $3.4 billion project have increased by $500m and “there are fears it is going to be over $1 billion”. Talk to any builder, developer or architect – off the record – and they’ll point to Council processes as a cause of delay, uncertainty and loss of margin. While many councils both big and small, face criticism from the construction sector, Auckland Council was selected for particular criticism with the Deputy Auditor-General, Greg Schollum criticism stating In his report in December 2018 that Auckland Council has failed to meet the statutory deadline for thousands of people applying for building and resource consents. 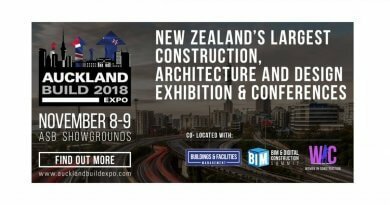 Auckland Council responded that it was processing the highest level of building consents on record and applications were taking longer to process because they are more complicated than ever before. Mitigating factors were that the shift to more medium and higher density developments to accommodate the city’s growth meant the number of housing units per consent application had increased by 10 per cent in the last 12 months. Delays, red tape, rising prices… these issues are hard enough to contend with, but experts say that it is lack of capital that continues to trip up construction companies. Richard Carver says that in his opinion the construction companies are very thinly capitalised, so, they simply don’t have enough equity to withstand a shock. “If you’ve got good business sense, you know it’s costing sixty – ninety grand a month. That’s 3k a day – so you need to have 90k in the bank at the start of the month, just to pay your overheads. “Most companies wouldn’t have that and would be relying on someone to pay them some money for work they’ve done in that month, to pay for those overheads. “But the problem is, is that, if you’re not careful, and you’re waiting for new work, or there’s a holdup in the project and you’re holding to your existing staff for too long, you start to build a cash flow hole. You can see companies that are making a profit go broke because they’ve suddenly run out of cash. And it’s like the profit can be in future jobs, or the profit’s in past jobs, but right now your actual cash flow is gone,” said Carver. David Kelly is the Chair of the Construction Industry Council, as well as being Chief Executive of the Registered Master Builders Association. Kelly also says that cash flow is critical to a company’s success but desperation to win the contract often drives businesses to accept un-sustainably low margins. “There’s been a number of articles recently in the media that people are pointing out that contractors have relied on the cash flow to cover up the fact that their margins are just too slim. “You can’t keep doing that. It’s a bit like a pyramid scheme if you keep doing that for too long. Eventually everything collapses. “Part of defining what a good business looks like is asking ‘is there a minimum level of retained earnings you need to have on the balance sheet’, depending on what sort of work, what are the size of contracts and what’s the size of the company. “One of the things that we’re really strong on, and I think this is a very important conversation, is should there be minimum accreditation requirements for contractors for certain levels of work? If you pick a number, say contractors that are doing contracts over $50 million, there should be minimum requirements they have to meet rather than just whether they win the job. “At the moment, it’s all about ‘I’ve just got to be the cheapest’. And if it wasn’t hard enough to cost the job, and interpret the contract, the issue of liability has continued to keep all councils, construction companies and all manner of subbies on their toes. 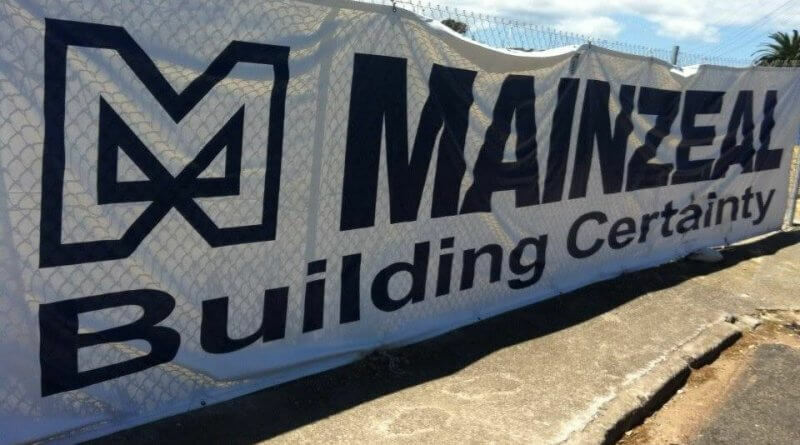 Litigation from leaky building claims was the tipping point for Arrow International’s descent into voluntary administration – a $4.2 million adjudication in favour of Christchurch-based March Construction. Richard Carver says that the issue is a constant source of concern for builders and subbies. “So, if you come and put a tap in a project, and the project requires to be fixed up, then you could be responsible for the entire project. And all you did was a tap! Joint and Several liability leaves all the costs to the last man standing. “My plea is that we move from Joint and Several to ‘Proportionate’. So if you’re responsible for the roof, and the roof leaks, you’ve got to fix the roof up, but you’re not responsible for the whole house,” Carver said. When he was in New Zealand, Mark Farmer said underlying all those other factors was the crisis of an ageing labour force. “The nature of the skills crisis makes this different to what we’ve seen 10 years ago, 20 years ago when we’ve had similar cycles,” Mr Farmer said. But the problems are endemic. If European or Chinese firms tried to step in, using the same model they would have the same problems: “Globally, this industry is in crisis,” she said. Mark Farmer welcomed the Industry Transformation Agenda’s role in leading change and its multi-faceted approach. David Kelly adds, “I think one of the things is understanding why this is important for New Zealand. “It’s not just about the contractors falling over and some businesses failing. 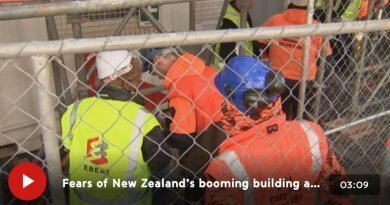 The construction industry is one of the biggest employers in New Zealand and literally, it builds New Zealand. The builder environment is built by the construction industry. I mean, it sounds a bit trite, but if we don’t have a successful business, it impacts on our economy, it impacts on the quality of the buildings we’re working in, it actually impacts on the fabric of communities around New Zealand. 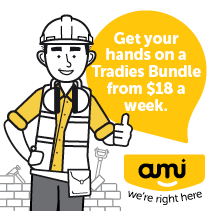 Join over 15,000 construction professionals who receive Industry Insider each month. Keep up-to-date with the latest product developments and what’s happening across the industry, both here and overseas.